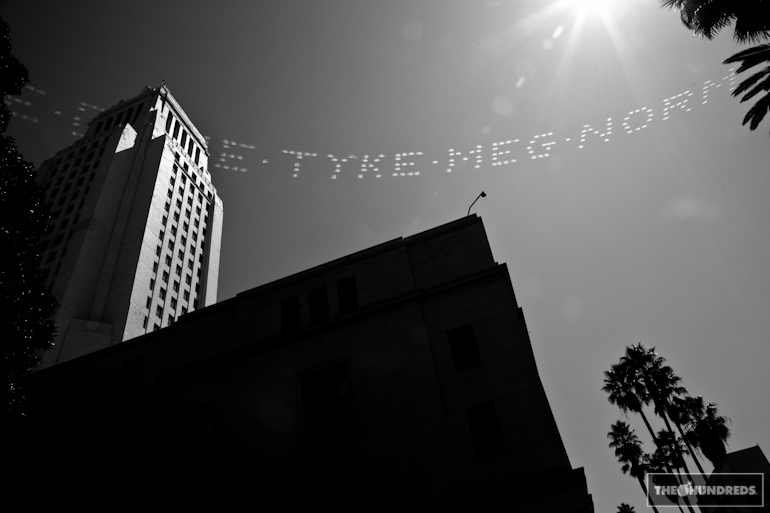 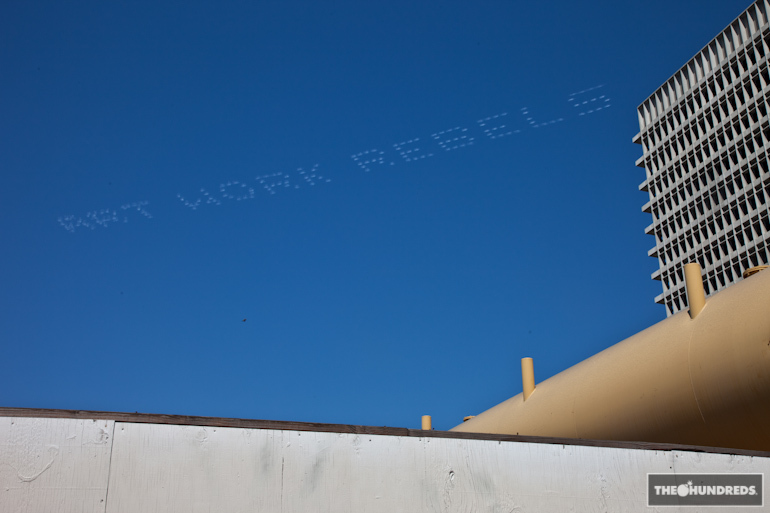 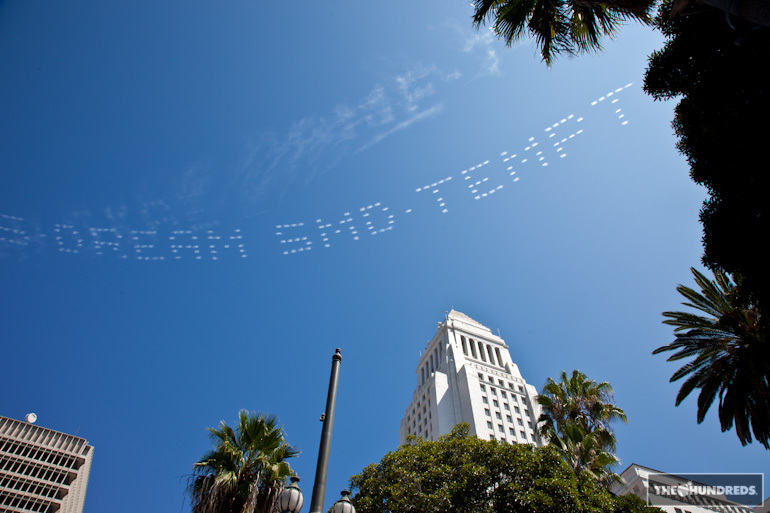 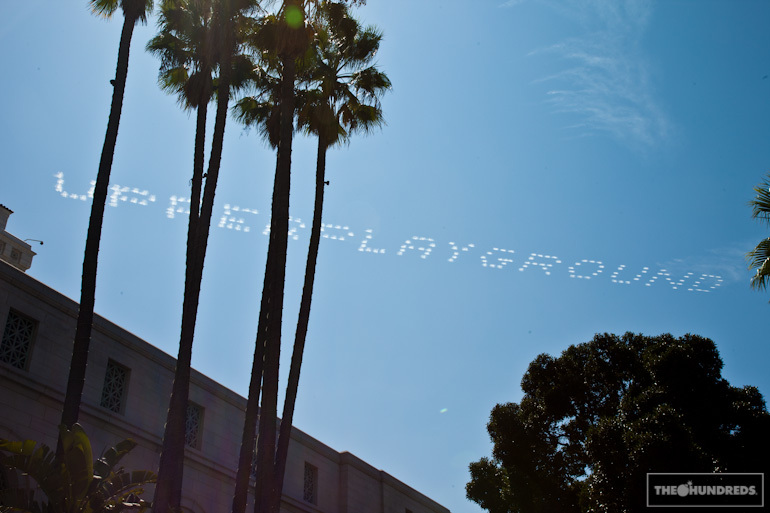 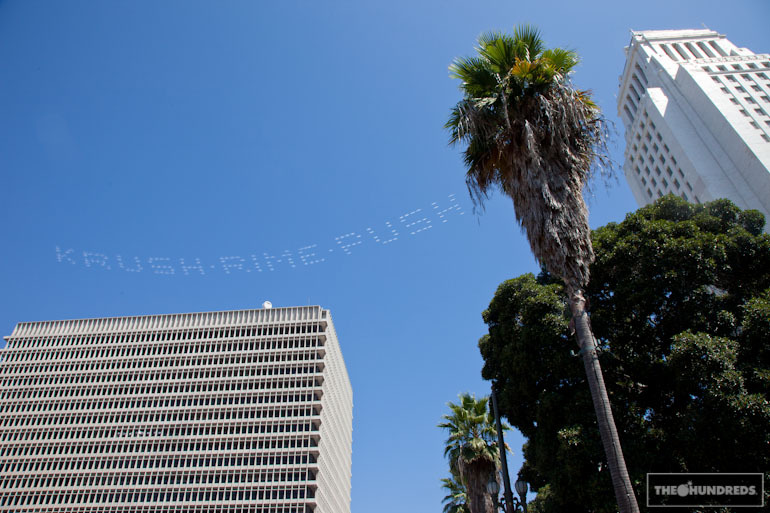 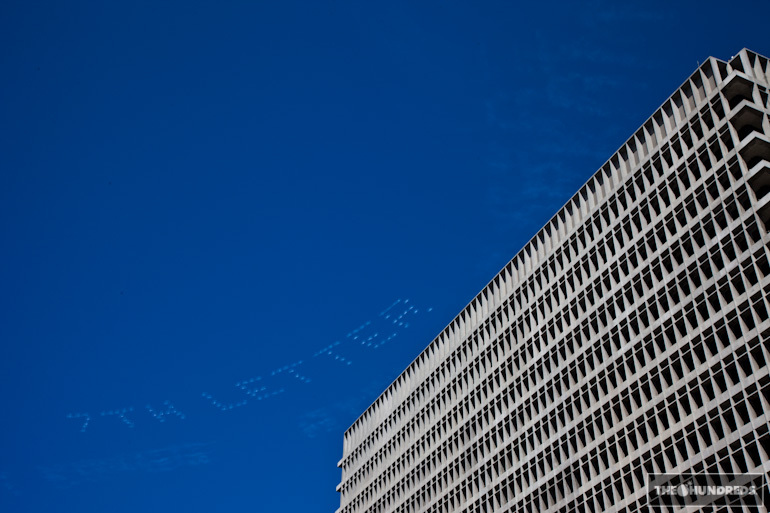 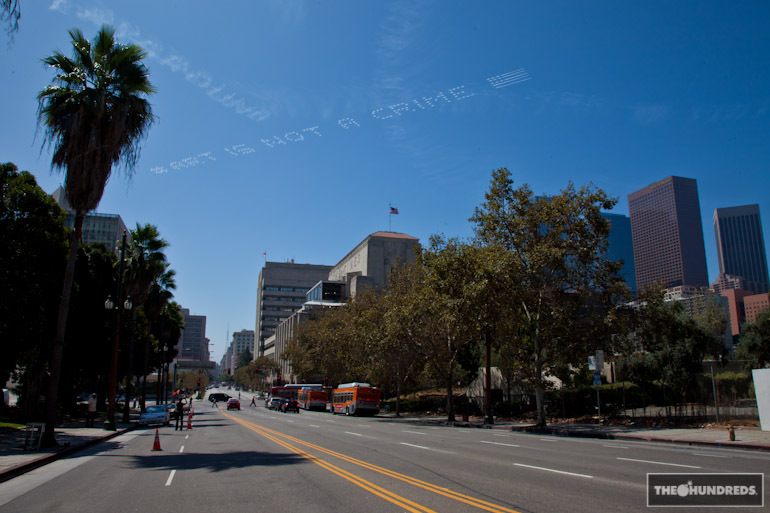 If you were in the Los Angeles area today and just happened to break your gaze away from your phone long enough to look up, you may have seen this. 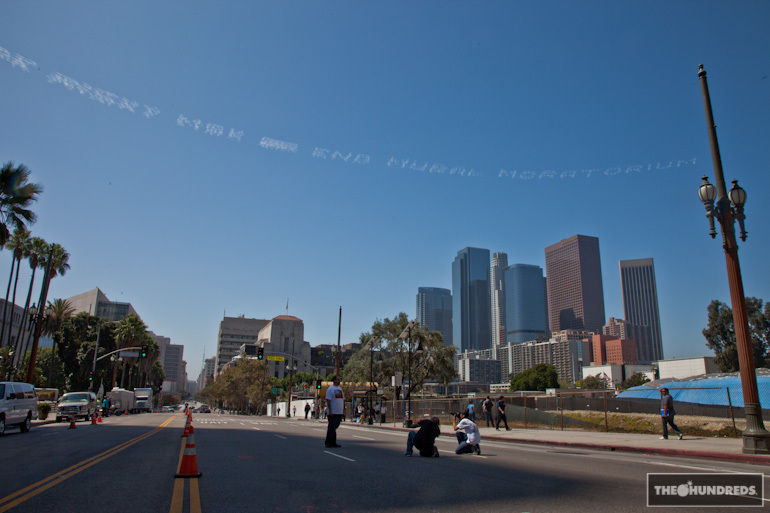 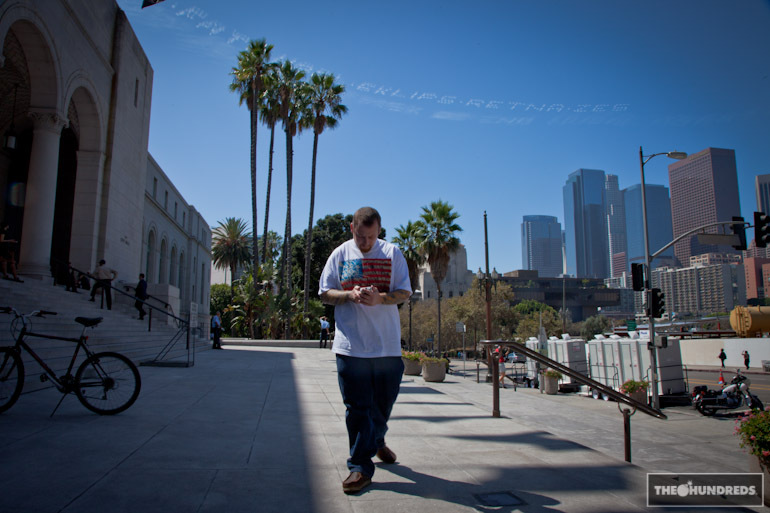 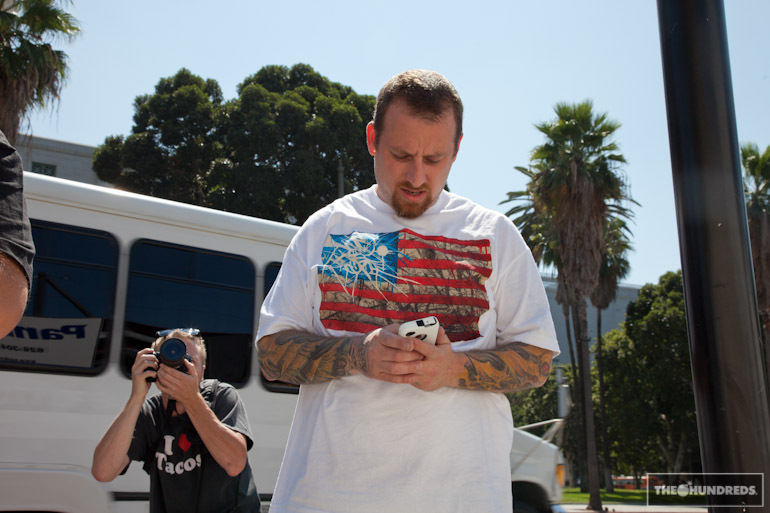 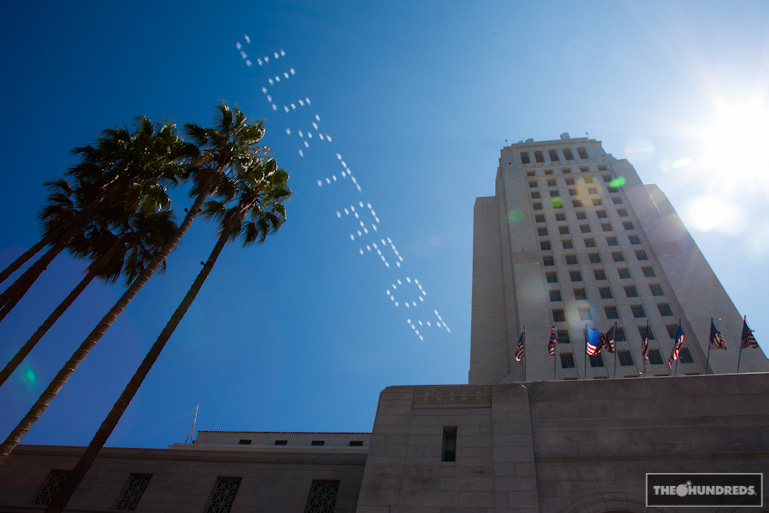 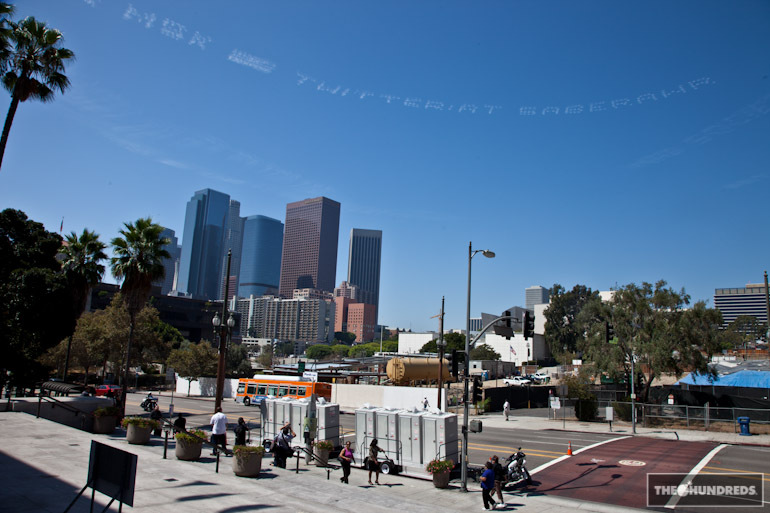 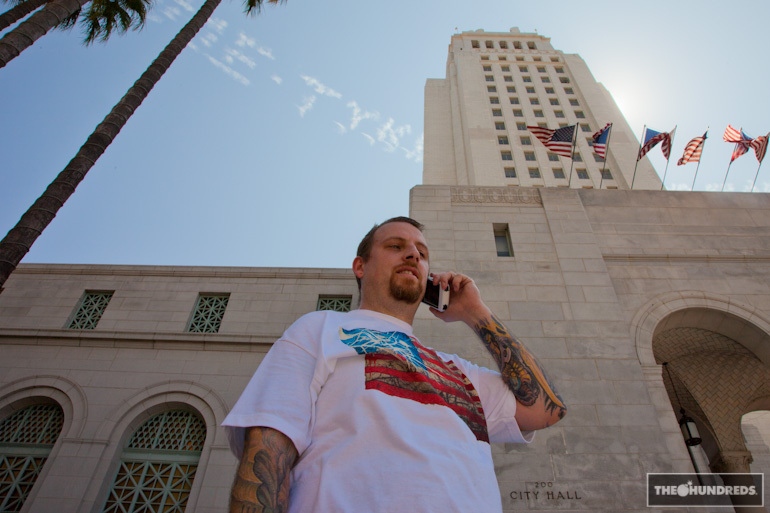 For one hour starting at noon, SABER wrote across the sky circling downtown L.A. Aside from shouting out his crew, he called for an end to the mural moratorium the city has affronted on its citizens. 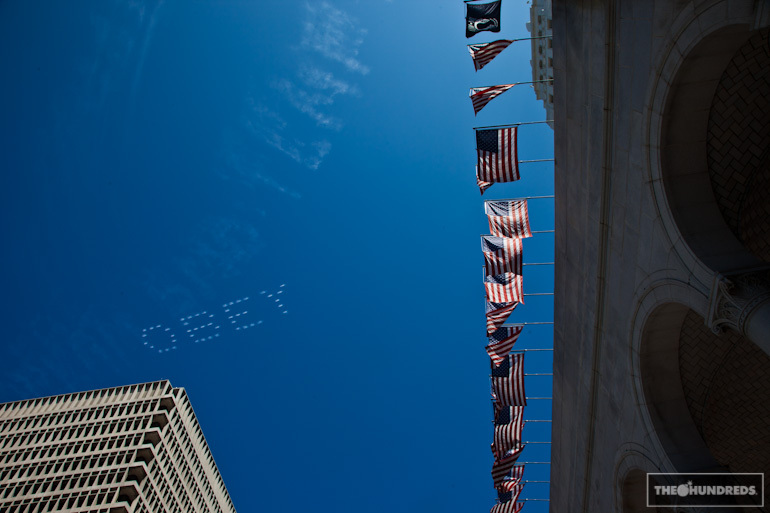 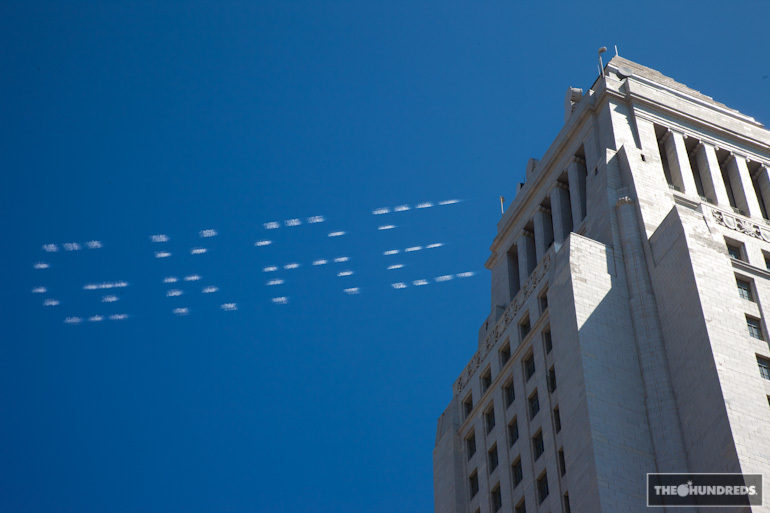 Since graffiti and street art are being attacked by the bureaucrats, he took to the air, right over City Hall. 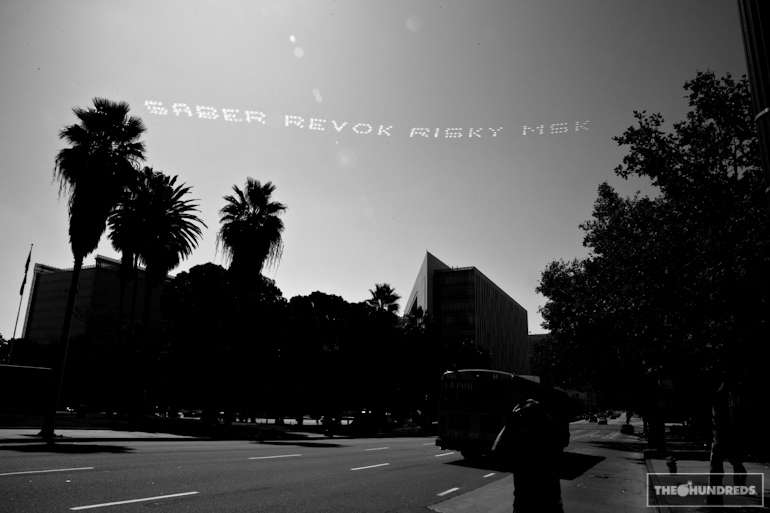 Shouldn’t be much of a surprise since SABER had the world’s largest graffiti piece in the L.A. riverbanks over a decade ago. 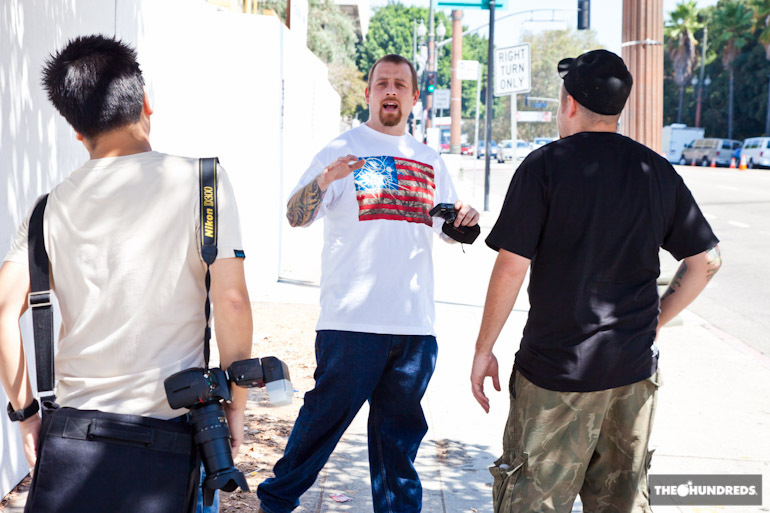 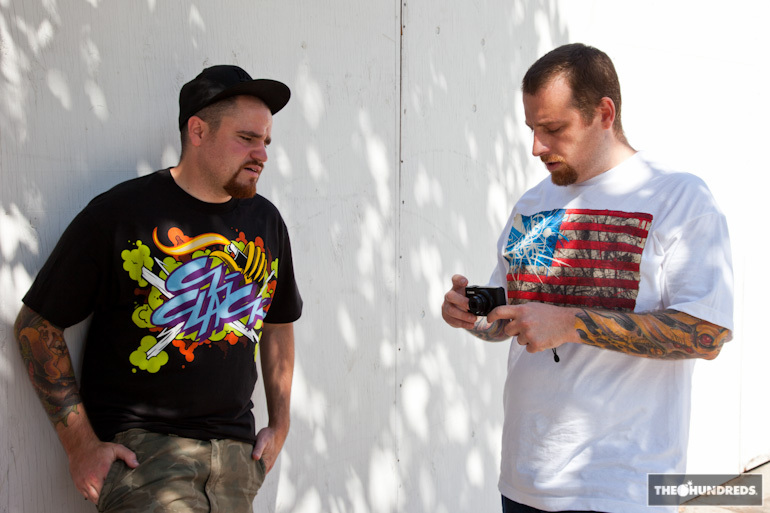 Fellow artist RIME aka Jersey Joe with the assist. 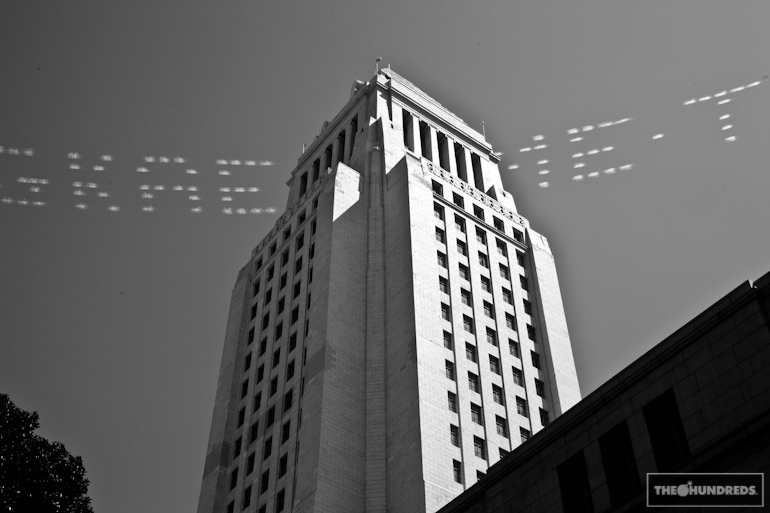 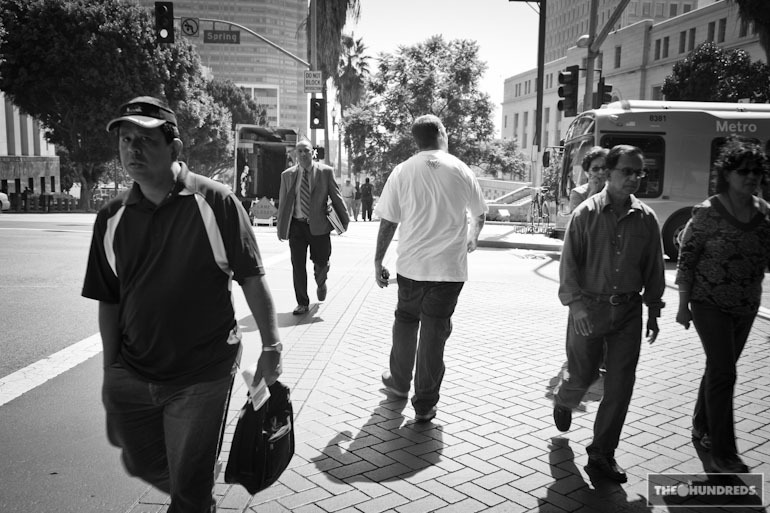 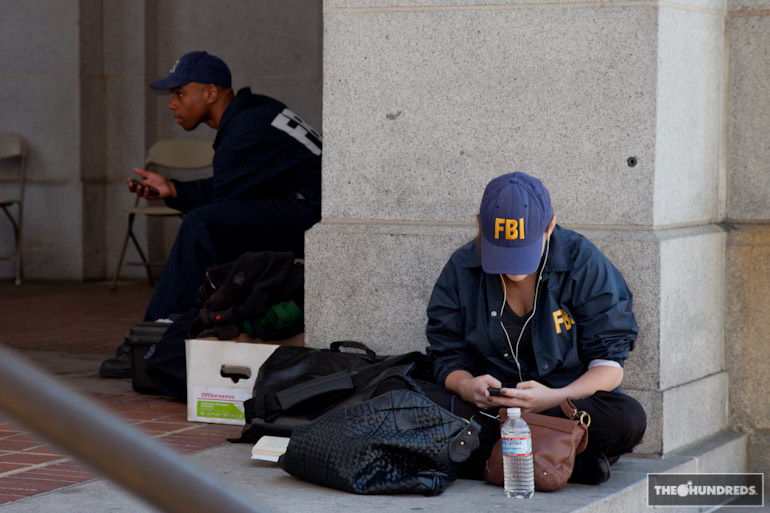 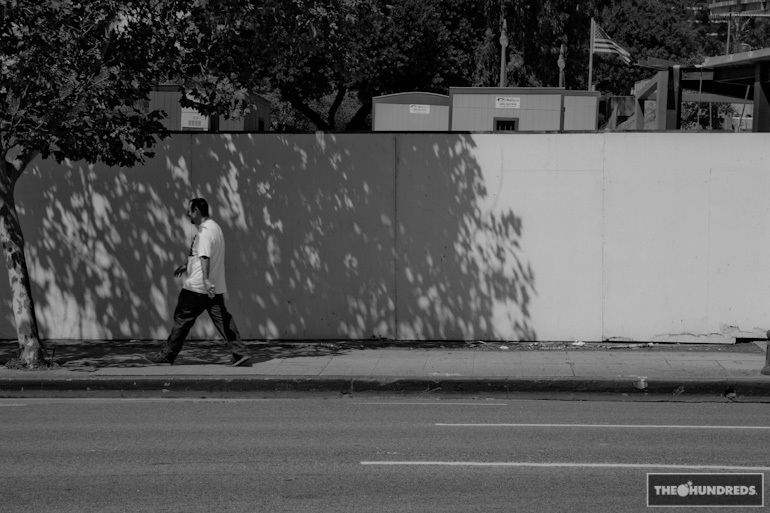 Follow SABER on Twitter and stay informed on the situation regarding public art in Los Angeles HERE. 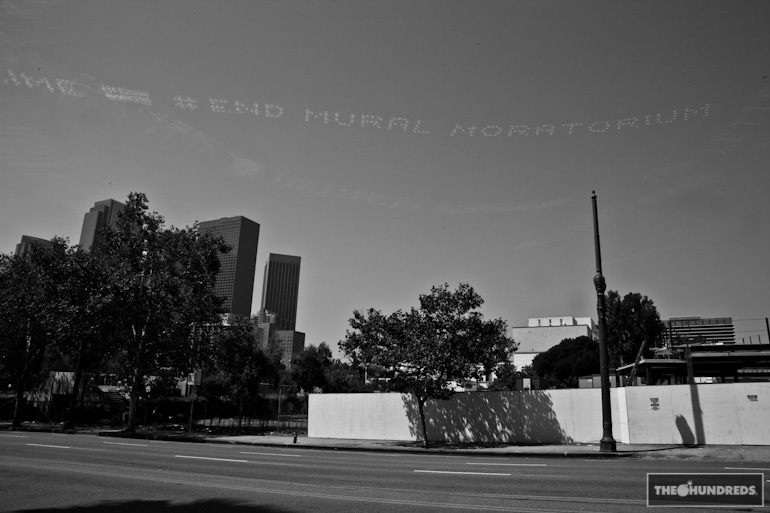 Even we at The Hundreds have been hit by L.A.’s moratorium after REVOK and RISK painted our rooftop on our own building, and the LAPD demanded we take it down. 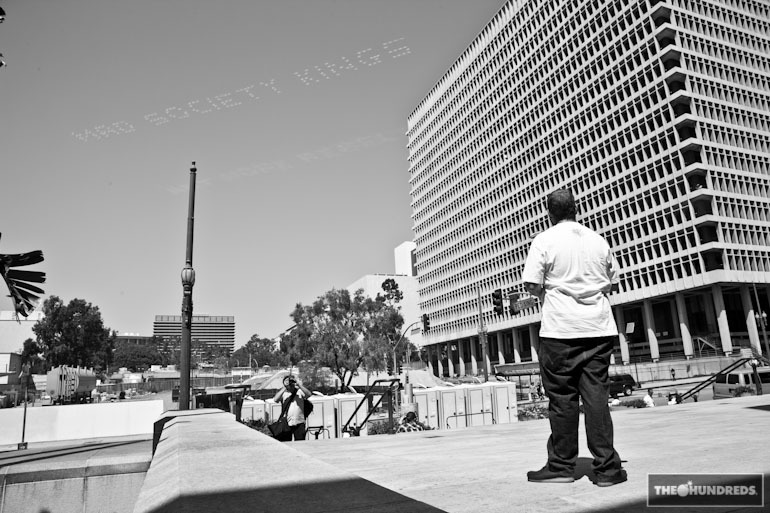 The streets belong to the people. 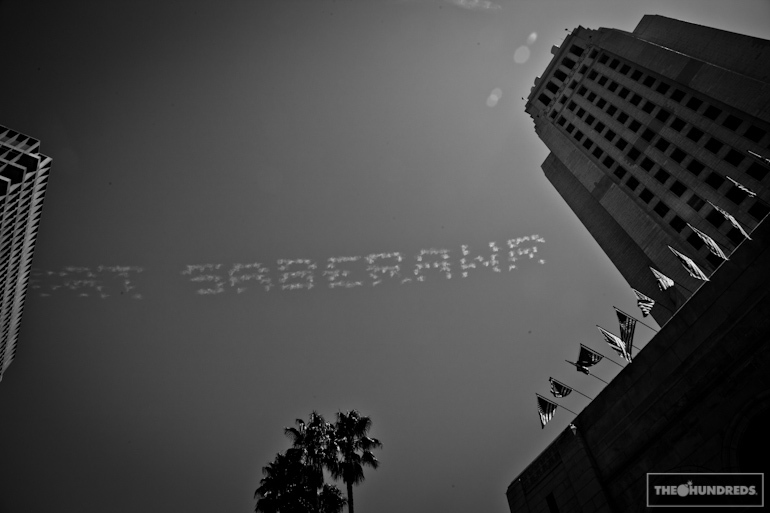 And for today, Los Angeles belongs to SABER.